News out of the University of St. Andrews has revealed that serious strides have been made in miniature radar techniques that could potentially transform how we interact with computers, smart watches, and other smart devices. 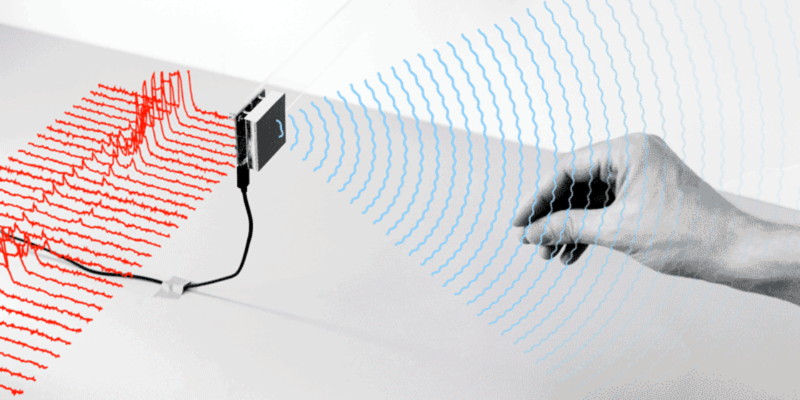 The St. Andrews Computer Human Interaction research group (SACHI) has been working on the technique, called solinteraction, which demonstrates the potential for radar-based interaction, for some time, and has assisted Google on Project Soli, a radar-based sensor that can sense the micro and subtle motion of human fingers. Now, the United States Federal Communications Commission has made a move that could herald a major advance in the technology granting Google a waiver that allows Project Soli sensors to use frequencies between 57 and 64 Ghz, which are higher than typically allowed in normal gadgets. In 2015 Google’s Advanced Technology and Projects group (ATAP) showed off tiny radar-based sensors that enabled users to control gadgets simply by tapping their fingers together. In a paper published in the journal Proceedings of the ACM on Interactive, Mobile, Wearable and Ubiquitous Technologies the St. Andrews researchers demonstrate a range of novel techniques. “Research has explored miniature radar as a promising sensing technique for the recognition of gestures, objects, users’ presence and activity. However, within Human-Computer Interaction, its use remains underexplored, in particular in Tangible User Interface,” said Professor Aaron Quigley, Chair of Human-Computer Interaction in the School of Computer Science at the University of St. Andrews. The researchers explore two research questions with radar as a platform for sensing tangible interaction with the counting, ordering, identification of objects and tracking the orientation, movement and distance of these objects. They detail the design space and practical use cases for such interaction, which allows us to identify a series of design patterns, beyond static interaction, that are continuous and dynamic. “This exploration is grounded in both a characterization of the radar sensing and our rigorous experiments, which show that such sensing is accurate with minimal training,” said Quigley. A video that further details the technology can be found below.